Crafting is a passion of many, but it can cost a ton of money. If I had my way, I would craft all day, but that can get super expensive. 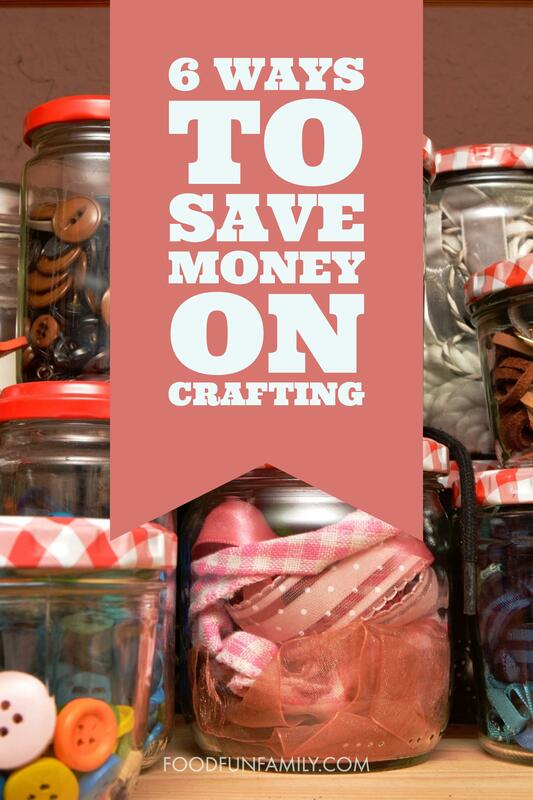 The key question is…how can you save money crafting? When it is a favorite pastime, you have to find ways to make it work financially for you. Here are 6 ways to save money on crafting. Hobby Lobby and Joann Fabrics are great places to shop for crafting supplies. I noticed that when you sign up for their texting options, you get great offers! Signing up only takes a few minutes, but you can earn coupons up to 60% off. Truly a great way to save on crafting. Have you thought about this? Chances are that you have a ton of crafting supplies and so do your crafting friends. Don’t be afraid to swap crafting supplies with someone else. You will be able to get a few things you need without spending a dime. I know this tip is no surprise to you, but it’s a great reminder. Shopping in the clearance aisle can save you so much on crafting supplies. Matter of fact, this is the only way I’ll shop for crafting supplies. I do not like paying full price for anything, especially when it comes to crafting supplies. When the summer months hit, I hit the garage sales for crafting supplies hard. Crafting supplies can always be found at garage sales. If you have a good imagination, you can get creative with what you find at garage sales. Buttons, fabric, ribbon, etc. are a few of the things I often find at garage sales. As fun as it is to shop at crafting stores, don’t pass up second hand stores. Since people donate all of their junk, you could come into contact with crafters heaven. I LOVE looking around second hand shops to see what I can find to add to my crafting collection. Know other crafters in your area? Team up and buy crafting supplies in bulk. Auctions and online websites have crafting supplies for sale. It amazes me what I can find when I’m looking for something. Split the cost with your crafting friends or keep all of the supplies for yourself! How do you save money on crafting?